All of my perfectly scheduled plans were derailed this week with a late night trip to the Emergency room. That of course was NOT part of my plan! But, there I was taking my very first ride in an ambulance to the ER. All I could think of was how this is going to set me back in everything I have to do this week. I was in a lot of pain, but I still kept thinking about my to-do list. 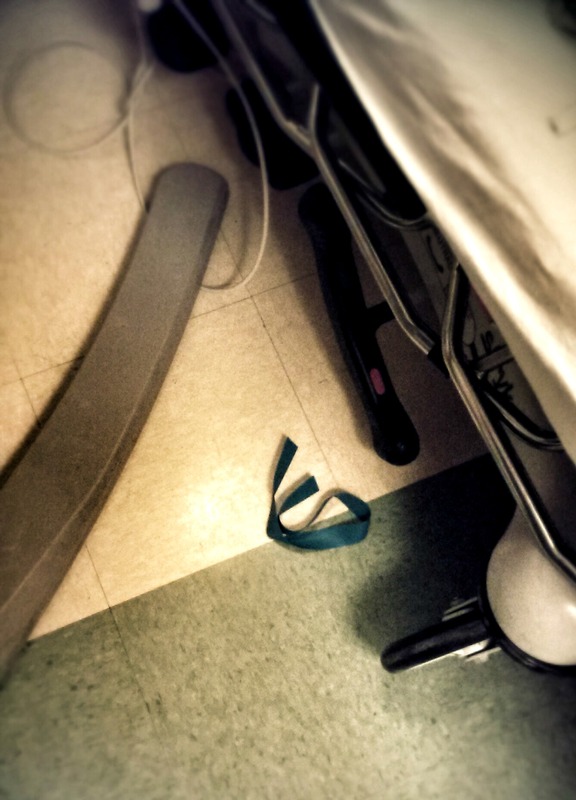 Even after the ER staff settled me into a room and made me comfortable, I found myself reaching for my phone. I thought, “Let me just check in on my social media while I’m waiting.” Then the voice of reason shouted over that thought with, “what are you crazy? You are EXHAUSTED! You are in PAIN!! Just sit still and RELAX!! !” I couldn’t really relax, but I did put the phone away. I closed my eyes and thought about Christmas. The “carnage” from my ER visit. I am not sharing this to elicit any kind of sympathy in fact I’m going to be OK. It is nothing life threatening! But, this is a very familiar place for me. I talk all the time about letting go of perfection and yet I STILL struggle with this ALL. THE. TIME. Apparently, even while I’m in an ambulance all I can think of is how much time I’m wasting being there, when in fact there is exactly where I needed to be! Agh! Ironically, it was an ER visit nearly three years ago that led me to my “Whatever philosophy” of letting go of perfection in the first place! Double Agh! As you can see letting go of perfection really takes some work for me. I returned home at 4 a.m. My babies were still sound asleep and I went in to kiss each of them good night. I am so lucky I made it home safe (and still healthy despite a visit to the ER). I realize this is as close to perfection as I can get in my parenting: two healthy kids who have zero interest in my to-do list. When they wake tomorrow all they will want from me is to play, hugs, kisses and of course demand which color cup they want. It won’t be all smiles and sweetness. There will be some crying and some yelling and I won’t get a single thing on my to-do list completed. But, that’s OK.
After a couple hours of sleep I woke up exhausted. 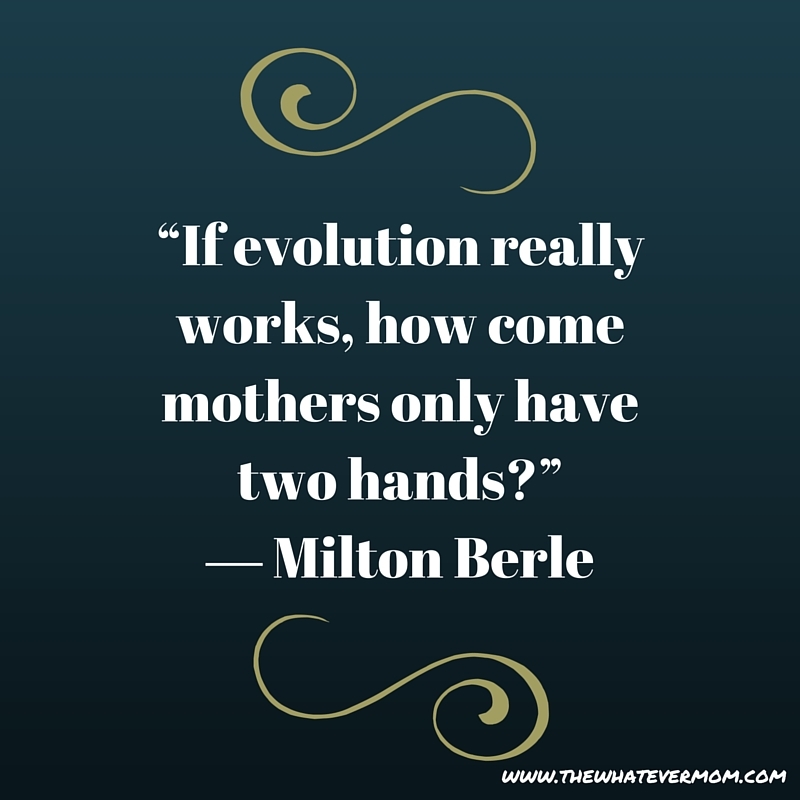 I wasn’t ready to face the day alone at home wrangling the twins while I recuperated. It felt daunting at best. But, an angel really came through for me. She helped me get my kids to school and kept them a little longer until their dad could pick them up for me. This was such a gift, the gift of time to heal! It wasn’t our usual routine but my kids just went with it (unusual). The plan I had outlined for the day wasn’t happening with perfect execution, but it was perfect for today! Christmas is only 9 days away and if everything on my to-do list gets finished, GREAT! If not, I’m going to be OK with that too. I don’t need the gifts wrapped on a schedule, or the crafts finished by a deadline to make this Christmas perfect. I just need to be with my family at home. As always thank you all for reading each week! I hope you all find joy today, no matter what today brings! I gave up years ago. Now, people get what they get from me and if they are not happy with it – too bad. You can’t please everyone, right? Perfection was always one of my biggest enemies and sometimes it still is! I had to learn to let go of that and to stop expecting that in others, too. I’m learning to squash that perfectionist that lives inside me, but she’s a bossy one! Hang in there, Mama! I think it is so hard to not expect perfection. I always have these magical ideas in my head and I know I should just let them go. Aim for good and not perfect. I love that quote. There is always so much to do! I am glad that you made it home and all is well. I don’t struggle with perfection, but my to-do list is longer than there is time in my day. Long list can leave us all to be overwhelmed. I hope you find time to rest and heal. Thank you! I am feeling better and on the mend! Glad to know I’m not the only one with a mile long to-do list! Baby’s first Christmas is so special and I wouldn’t mind using any of these keepsakes to memorialize that special day 🙂 I especially love the Handprint ornament! Yes I often think that a lot of people talk and give advise but they never listen to it themselves. Something I learned a lot of when I was studying psychology. I hope you’re getting better. You share the same struggle as me. Everything has to be perfect but I learn to just let myself loose and let it go because I realize life need to be balanced. Imperfection balance the perfection, and it makes life richer. That’s what l found. Take care. I am happy that I got my Christmas shopping done. Now I just have to get it all wrapped. I am glad you are ok.
Glad to hear you’re okay. But you’re right, this is a definite struggle. I have to actively work at letting my “perfectionism” go. Hope you get some rest and enjoy those babies! I try not to be a slave to my to-do list – it is hard! I am a lot less concerned about making sure everyone else is “happy” at my own expense now though. I am glad that everything is ok! It is a good reminder to slow down a little bit! I can relate to this post. For me, it’s not so much achieving perfection, but the overwhelming weight on my shoulders when I know that something is going to set me back. Whenever I get sick, or something knocks me out for the day, I am constantly thinking of all the things I have to do for clients, how far back in my writing this will take me, etc. 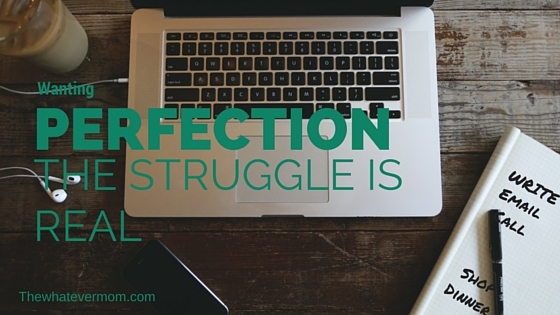 I struggle daily with letting go of perfectionism too! Thank you for this timely reminder! And I’m SUPER glad that your ER trip wasn’t something horrible!